The Aruba AP-124 has been discontinued. No direct replacement is available. 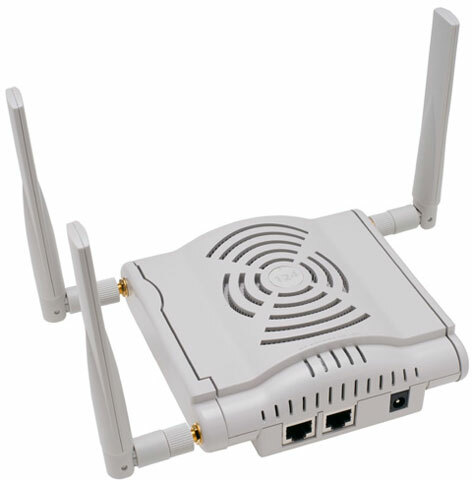 The Aruba AP-124 with detachable antennas delivers secure, high-speed network services via 802.11n that move users to a "wireless where possible, wired where necessary" network access model. The AP-124 saves money by eliminating unused Ethernet switch ports and thereby reducing operating costs. 802.11n enables the use of wireless as a primary connection with speed and reliability comparable to a wired LAN. It also increases performance by utilizing techniques such as channel bonding, block acknowledgement and MIMO radios. Advanced antenna technology also increases range and reliability.